A-frame home designs were once synonymous with 1960s and 70s style architecture. They have very strong sloping roofs that often reach down to touch the ground and create a unique triangular interior. 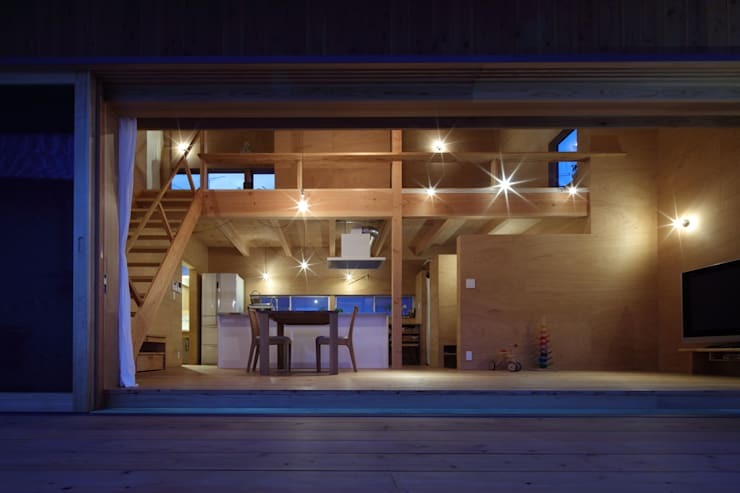 While they're not used as often these days, their offshoot, the half A-frame home, is increasingly common. This kind of design is great for making the most of a tricky building block where there may not be good privacy on both sides. It also gives the home a very strong single directional focus. But it's best to explain in pictures, so let's check it out! 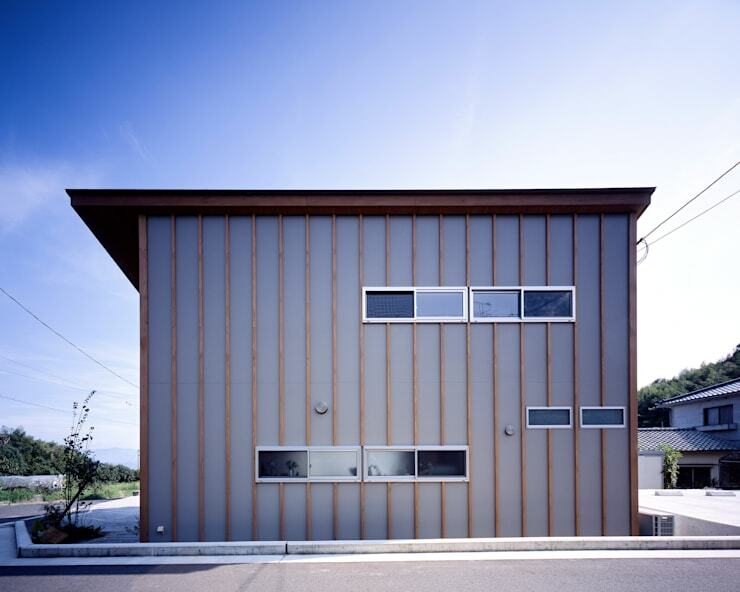 This project comes to us courtesy of Japanese architects Tenk. 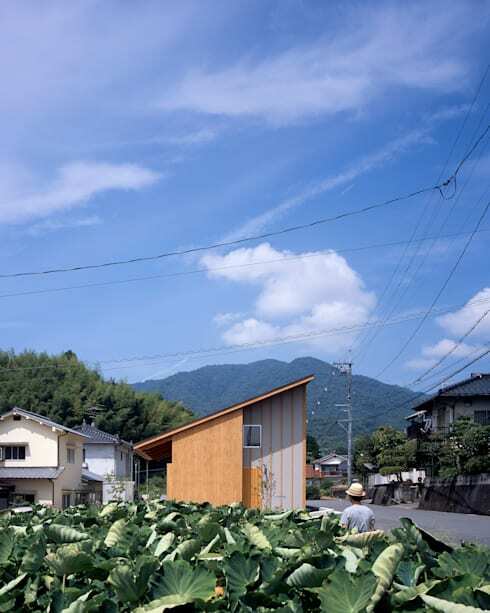 The home is situated on an unusual building site in a lush rural area. It is a long narrow block of land, bounded on one side by a busy road. On the other we have a close view of the neighbouring homes. 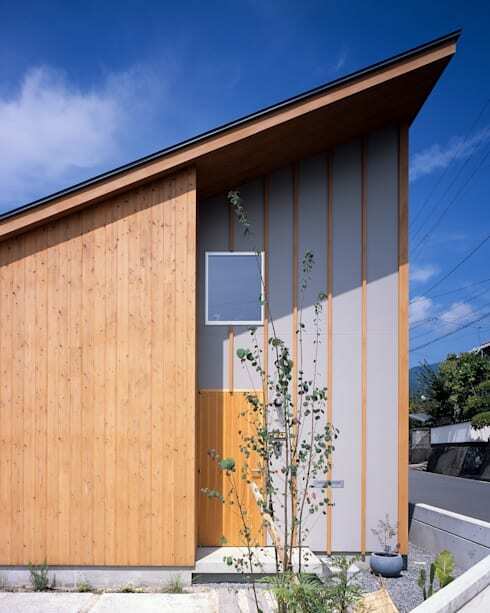 Despite all this, the architects have created a modern facade with a distinctly natural exterior. 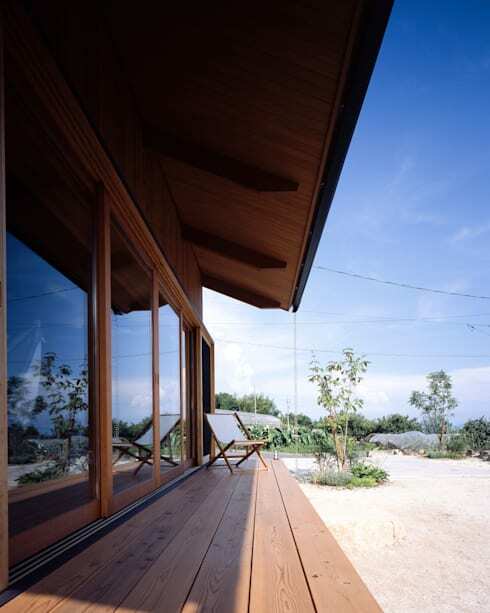 This is mostly due to the picturesque qualities of the sloping roof and the prevalence of natural timber. The left side that faces the neighbours has a narrow, long outdoor deck. This side of the home is in dramatic contrast to the other and provides the main focus of the home. 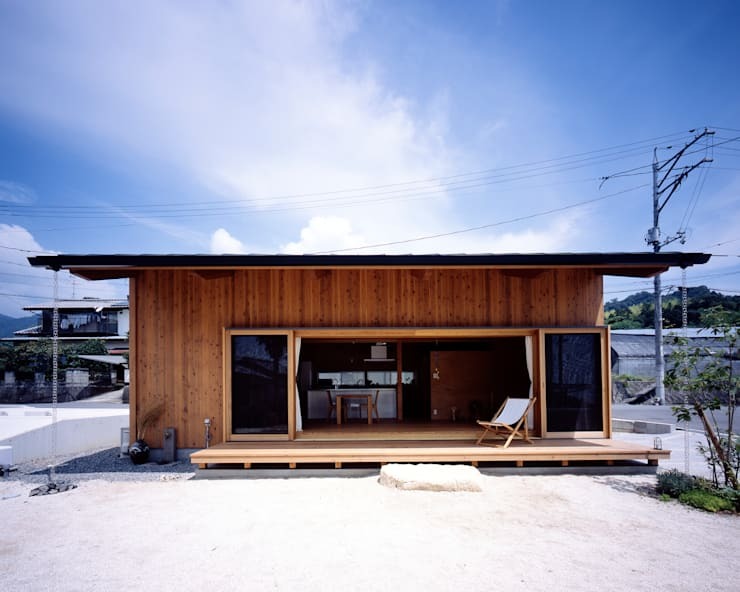 It has been simply designed and there are few outdoor furnishings. There are also lots of floor-to-ceiling sliding doors that really make the most of the natural light from this side of the home. The street frontage of the home is far more closed. It has some attractive fine timber panelling and small long panel windows. These close the home up somewhat and give the occupants lots of privacy. This also helps minimise the noise from the passing road. The interior is composed as one main volume and makes the most of the striking beauty of the unusual interior shape created by the strongly sloping roof. 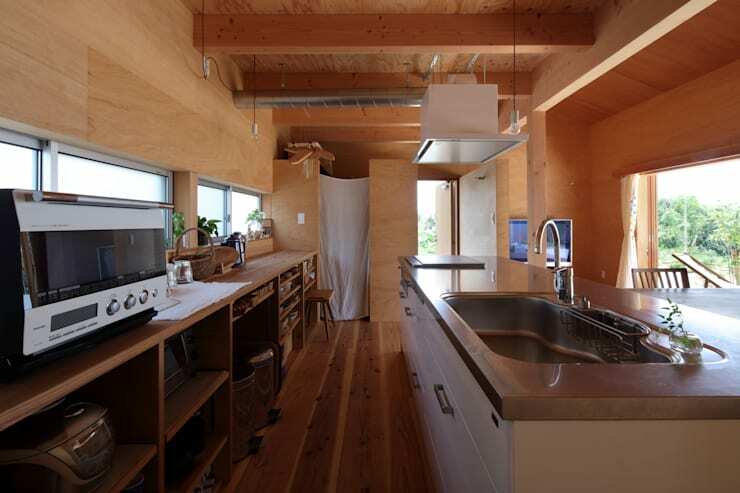 The furnishings, floors and walls and blend into to create one seamless timber interior. 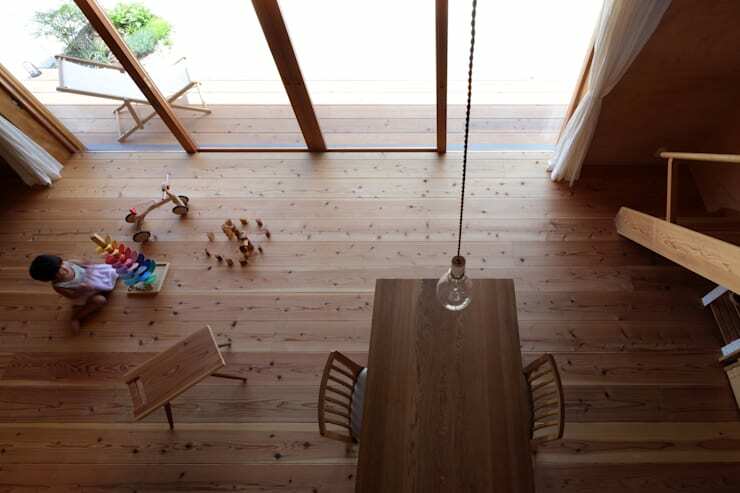 Most of the light in this living area comes from the large opening on the left hand side of the home. There are few internal barriers so the natural light floods throughout the kitchen area unimpeded. The galley style kitchen is composed of two parallel benches with lots of open storage cabinets. There are no wall-mounted kitchen cabinets, so the kitchen has a casual, almost earthy feel. The ochre wall colour completes the natural colour scheme. On the upper, mezzanine level we have the bedroom and private areas. 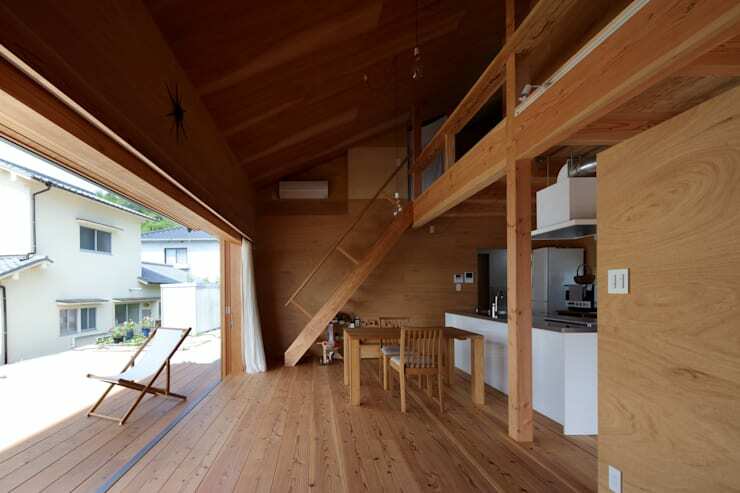 They benefit from the natural light of both sides of the home. 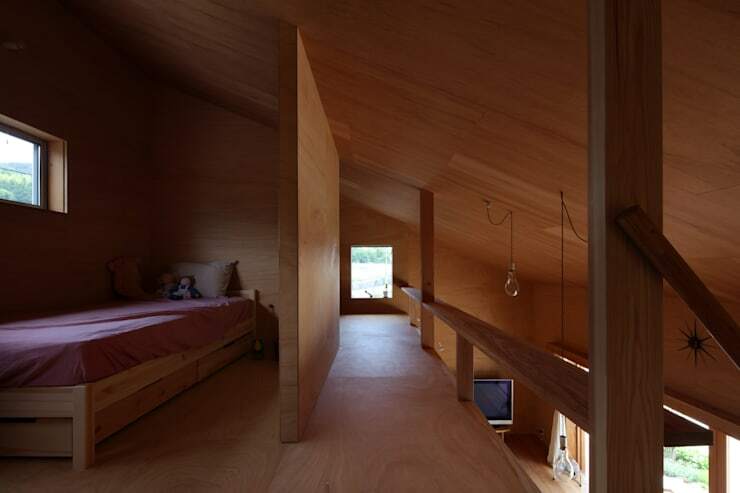 The timber material almost makes these areas feel like a private cocoon. It's an ideal ambiance for a modern rustic home and one that's bursting with the kind of character you can only get in an A-frame construction. For more rustic inspiration, have a look at The timber home you won't forget.